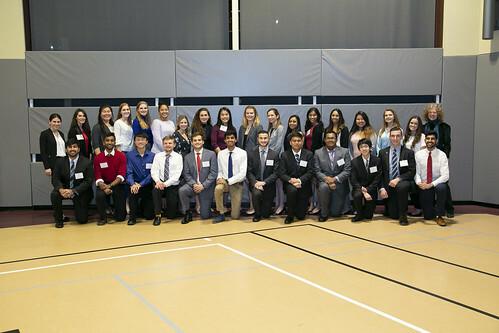 Thirty-nine students became the newest members inducted into the USciences Pennsylvania Kappa Chapter of the Alpha Chi National Honor Society, during a special ceremony held on Tuesday, Nov. 13, 2018. During the ceremony, inductees were introduced by their faculty advisers or department chairs who highlighted each student's accomplishments. At USciences, Alpha Chi is open to the top 10 percent of juniors and seniors in all majors except pharmacy, who are eligible for Rho Chi; and psychology/health psychology, who are eligible for Psi Chi.